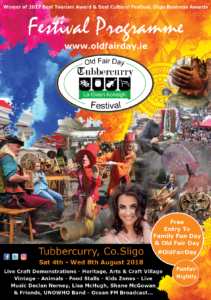 Unless my memory deceives me, this year will be around about the 10th that I have taken part in The Tubbercurry, Old Fair Day. So, what does that entail? I bring along a good amount of my hand tools and set to work much like any other day, the difference being, or at least some of the difference being, that this work day is outside and in public. I design ahead of the day, a project that I know I can carry out (or at least get near completed) without electricity and I work away for the day. People come back to me throughout the day to check up on my progress and see the emerging design. 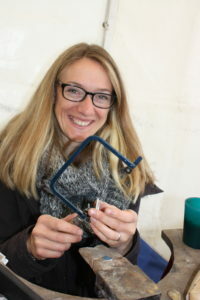 I and other craftspeople enjoy this event every year when we have the opportunity to chat to the public and show them a bit of what it is we do. 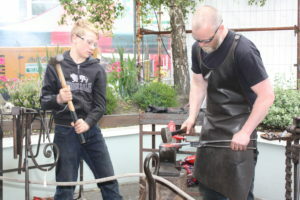 My husband Michael (who is a blacksmith) usually sets up next to me with his mobile forge on one side and, as in many years past, I generally have the company of a lovely lady called Ann to my left. Ann is a whiz on the spinning wheel and her knitted creations are beautiful. We all know each other at this stage and if we don’t see each other for a whole year, we know we are sure to catch up on a day in mid-August. One of the reasons I personally love to return to this south Sligo festival each year is the fantastic community spirit. Tubbercurry has an amazing team of people who pull together annually to create a whole week long list of activities and events. This year, it includes everything from a teddy bear’s picnic, circus workshops, to a BMX half pipe and pottery workshop. I’m sure there will be some old favourites too. I’m hoping to see Cillian with his amazing giant puppets. For me, I especially love the chat. It’s a good opportunity to show people what I spend my days doing. There are always loads of questions and anyone who knows me knows I love to have an excuse to talk. This year I will be there again. 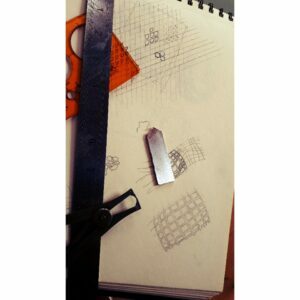 The sketch pad is out and I will be preparing a piece of silver in advance to start creating on Wednesday. 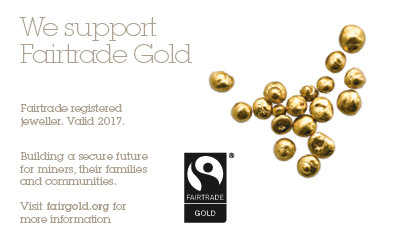 Watch this space to see what I will be making and if you see me this Wednesday, 8th August, come over and say hello. I can’t believe it’s been a year already and i’m looking forward to soaking up the buzz and visiting my favourite food stalls again – I wouldn’t dream of passing up the annual trip to the Man of Aran Fudge stall.